We hear over and over again how important it is to maintain a healthy lifestyle. But being healthy for its own sake isn’t easy — especially when you’re facing down temptation or battling procrastination. For some, the monetary benefits of a healthy lifestyle may offer helpful incentive. Regular preventative care can help reduce potential healthcare costs. Even minor sicknesses can lead to missed work, missed opportunities, and potentially lost wages. Serious illnesses often involve major costs like hospital stays, medical equipment, and doctor’s fees. When poor health persists over time, lost earnings may make it harder to save for retirement. 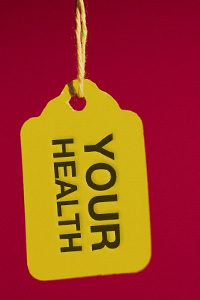 Some habits that lead to poor health can be expensive in themselves. Smoking is the classic example. A person who smokes a pack a day can spend more than $2,000 or more a year on cigarettes alone.3 Smokers also pay higher premiums for health care and life insurance, and their houses, cars, and other possessions tend to devalue at a quicker rate because of damage from the smoking. By focusing on your health, eliminating harmful habits, and employing preventative care, you may be able to improve your self-confidence and quality of life. You may also be able to reduce expenses, enjoy more of your money, and boost your overall financial health. At Couch & Russell Financial Group we are committed to providing exceptional customer service which yields a memorable client experience. We partner with you to discover your needs and assist in building your legacy. You will find comfort in knowing that our team of experts are eager to listen, plan, and maintain your unique financial goals. The result – you can focus on what matters most. Representatives may not be registered to offer securities and advisory services in all states.